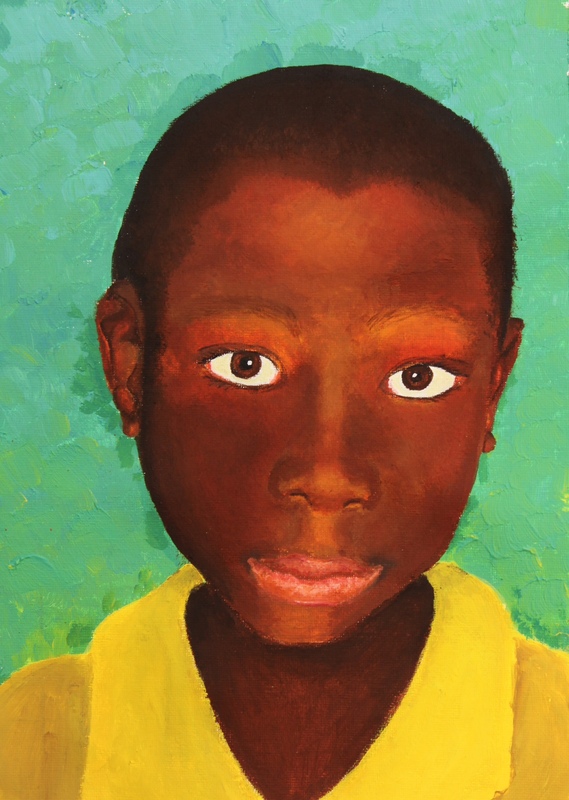 Mia made this portrait of African boy. For privacy reasons I can’t tell you where he is from. Mia’s school received few photos of African children. Most people there cannot afford pictures taken of them, let alone have portraits painted of them. 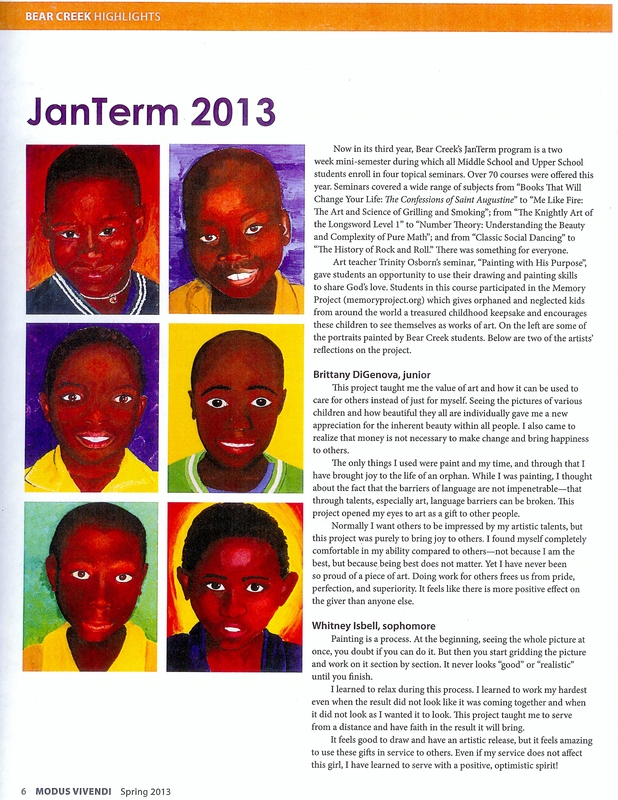 So the school project was to paint portraits and send them over to these kids. The painting Mia made is just amazing. She said the project was frustrating amounts of coat of paint over another. But the result is just amazing. I was pretty good at drawing things when I was young (I think), but I could not have done anything like this. Great job, Mia! I am sure he will be proud of this picture. I just can’t get over it.